I made a tough decision a couple of weeks ago. 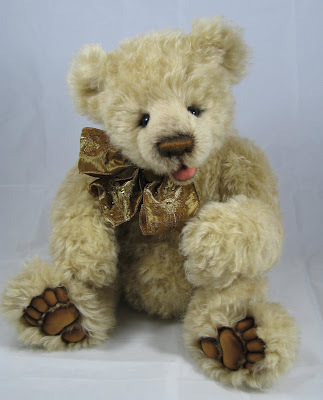 I was scheduled to do two shows this year: the Chicagoland Teddy Bear Show, and The Hunt Valley Maryland Handmade Treasures Teddy Bear Show, and I was really looking forward to both of them. I had taken some orders for delivery at the Hunt Valley Show, and was very much looking forward to being able to attend the Golden Teddy Awards Ceremony for the first time. 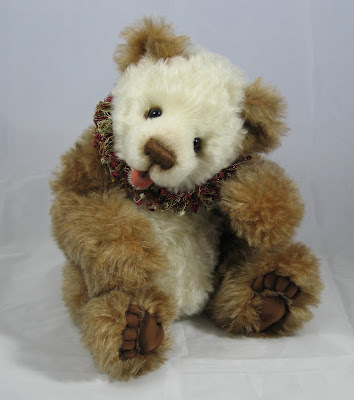 At the Chicagoland Show, I was looking forward to teaching my first Teddy Bear workshop as well as the other fun events scheduled there. I was looking forward to them, but also feeling very stressed. Since my dad's surgery in July and the start of school I have had almost no bear making time. 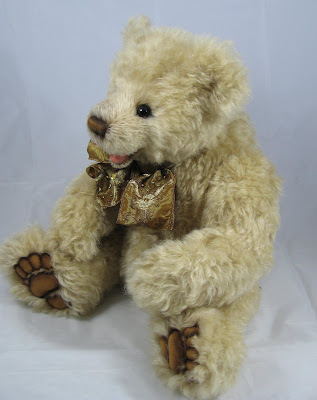 With all that my dad was going through (see post below), and with the orders I already have, there was just not going to be enough time to make enough bears for a table at one show, let alone two. I decided I must cancel my show tables. 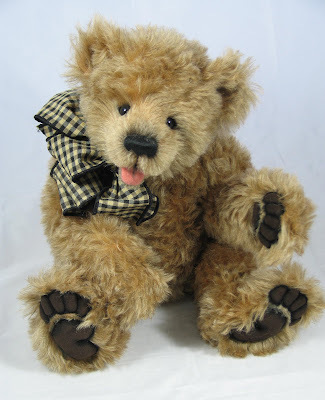 Shows are my favorite way to sell my bears because I truly love connecting with my collectors as well as other artists, and I will really miss everyone. 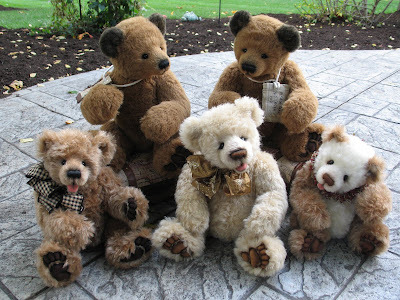 And the final bit of good news is that I have been able to finish five bears which have been waiting patiently for weeks in pieces for me to return to my studio! First, come the twins. 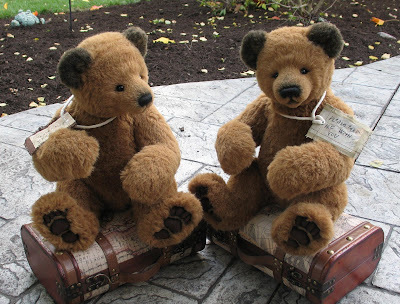 These are a pair of my Traveling Bears. Both are made for lovely patient collectors who ordered them a while back so they will be traveling home soon! Thank you to all my collectors and artist friends for your support this year. So sorry to hear about your Dad Tami, I hope things are getting better for your all now. 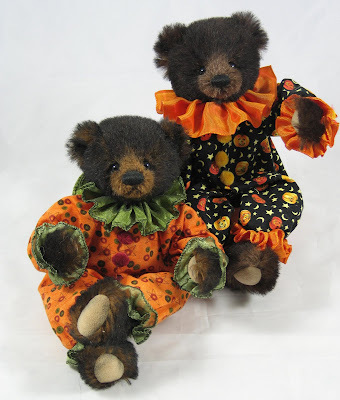 I think your show bears are stunning and hope you had a great time at the Chicagoland show!